Levi's Type 3 Denim Sherpa Trucker Jacket in Mayze Blue. Featuring a sublime retro sherpa trim and lining in contrast cream. THe dark stonewash denim finish adds to the retro aesthetic and is perfectly complimented by the dark bronze metalware The original denim jacket since 1962! 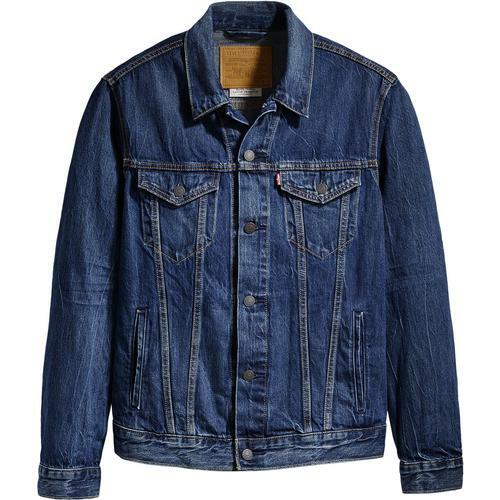 Levi's was the first denim jacket to feature pointed flap pockets and is iconic for contrast stitch detailing and cool rivet buttons. Over the years it has been developed and updated to incorporate a modern silhouette and practical pockets, whilst maintaining the authentic American heritage aesthetic. 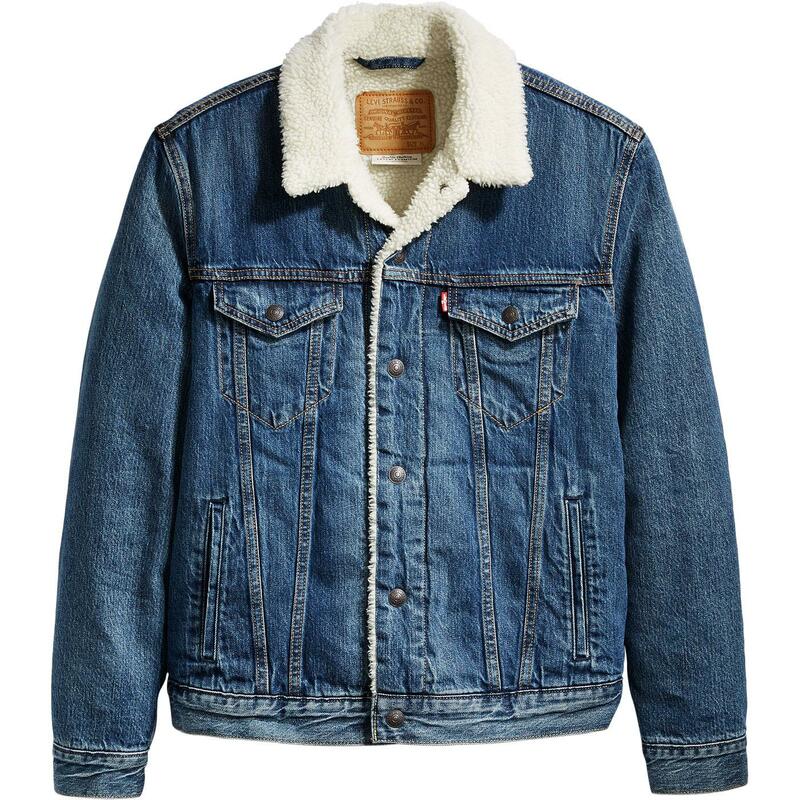 The classic Levi's Type 3 Sherpa Trucker Jacket features cool retro insulated sherpa interior and collar and is sure to keep you warm and looking stylish. Designed for maximum mobility and comfort, the Type 3 Sherpa Trucker jacket blends casual mod style with vintage 70s vibes creating a timeless Levi's outerwear classic for men. The Levi's Type 3 sherpa trucker jacket is designed for comfort, warmth and style - A true Levi's outerwear classic! 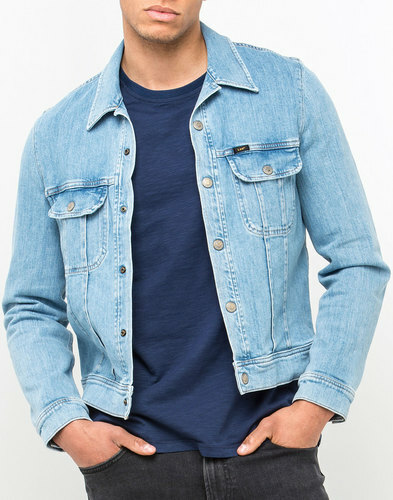 Levi's men's retro Type 3 Sherpa Denim Trucker Jacket in Mayze Blue. 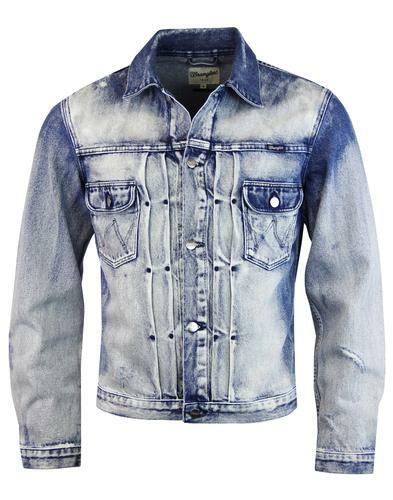 Cool mod dark blue stonewash denim fabric for a fab vintage look. Retro contrast cream sherpa lining to interior that extends on to the inner collar. Vintage dark bronze metallic buttons and rivets. Chest pockets with point flaps and button down fastening. Nice pleat panel detailing to front. Levi's Red Tab logo to left side pocket. SKU: 16365-0089 Levi's Type 3 Sherpa Trucker Jacket. 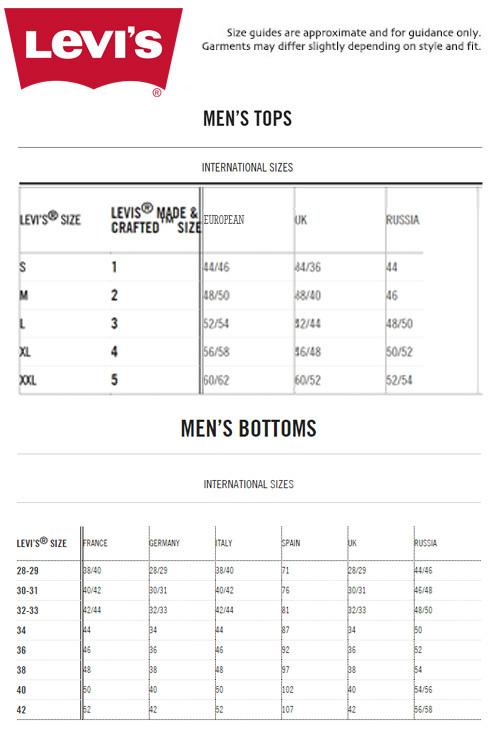 Composition: Shell: 76% cotton, 24% Lyocell. Faux Fur Lining: 100% polyester. Sleeve Filling: 100% polyester. Sleeve Lining: 100% polyamide.